this is a test post it’s posted as a test it’s just for testing really! Spring is here, scams grow like crazy! So many new scams the last few days. 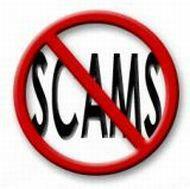 #electronics_scams multiply like rats! Added bonus, an Excel file with all 5027 #electronics_scams reported so far: cnscams20170407 2017trade.com ambrize.com ashinya.com aurorafine-trading.com baiyishops.com boracaton.com brandifulgroup.com changwangelec.com chicoya.com cnfactoryshinetech.com coretouniversal-unipessoallda.com deluxetradltd.com dumabiz.com happygotrade.com hongkong-deshang.com huawei-honor-mall.com icreatetele.com intelelectronic.com itradey.com jensay.com jewtly.com jinruninthk.com kongbestenltd.com lutheranshk.com meimeitrade.com modesdi.com pptti.com rainiee.com szhane.com teammadehkltd.com … Read moreSpring is here, scams grow like crazy!